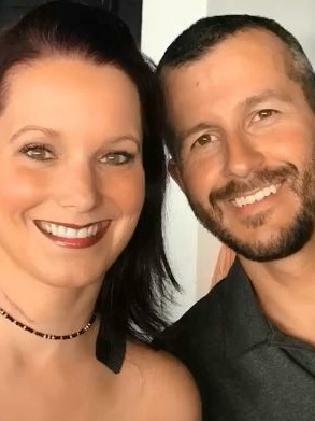 HOURS after Chris Watts made a public plea for his missing wife and daughters to return home, police arrested the 33-year-old Colorado man for allegedly murdering all three of them. But Watts has now claimed he's only guilty of one murder. 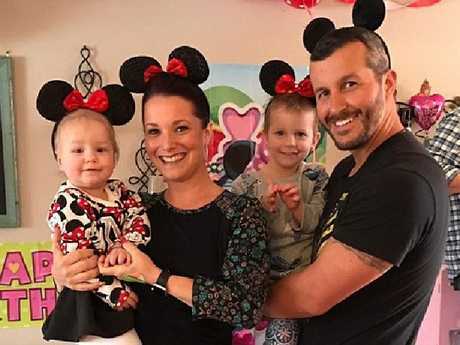 According to Watts' unsealed arrest affidavit, the former oil worker claimed he strangled his pregnant wife Shanann "in a rage" after witnessing the deaths of his daughters Bella, 4, and Celeste, 3, on a baby monitor. 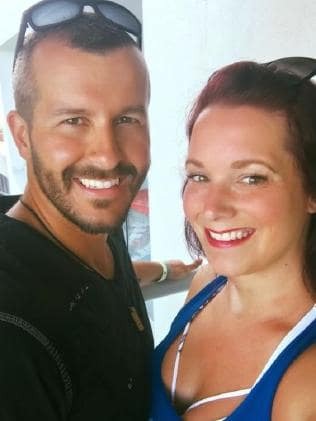 In the affidavit, Watts told police he and Shanann spent the early hours of August 13 sitting together "upset and crying" after he told his pregnant wife he wanted to go through with their separation. Watts denied he was having an affair in police interviews but an investigation later uncovered he was in a relationship with a co-worker. Watts first told police Shanann left the house to visit a friend and he then left for work. A day later, one of Shanann's friends reported her and her two young daughters missing after they failed to return to their family home in the Colorado town of Frederick. Watts fronted cameras for a number of local TV stations and pleaded for his wife to come home. "It wasn't like her not to answer a phone call or text and when her friend Nicole showed up at the door, I was like 'Something's up'. Then I came home and it was like walking into a ghost town, she wasn't here," he said. "Shanann, Bella and Celeste if you're out there just please come home." But hours later, Watts spoke to his father and agreed to speak to detectives again, telling them what he claims was the real story. Watts told police after the couple's emotional talk about separating, he returned to his and Shanann's bedroom to speak with his wife again. "While in the bedroom, via baby monitor located on Shanann's night stand, he observed Bella 'sprawled' out on her bed and blue, and Shanann actively strangling Celeste. "Chris said he went into a rage and ultimately strangled Shanann to death," the affidavit reads. 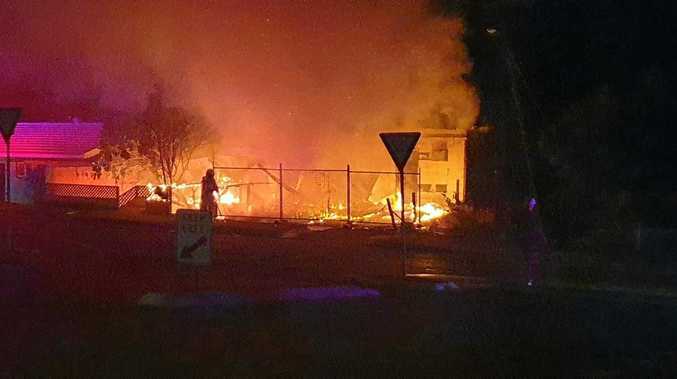 Watts then admitted to loading their bodies into the back of his ute before driving them to an oil work site he used to be employed at. Officers later found Shanann, who was 15 weeks pregnant at the time of her death, buried near two oil tankers on property owned by Andarko Petroleum, where Watts worked as an operator. Their daughters Bella and Celeste were inside the tanks and, according to an autopsy, had been in crude oil for four days. 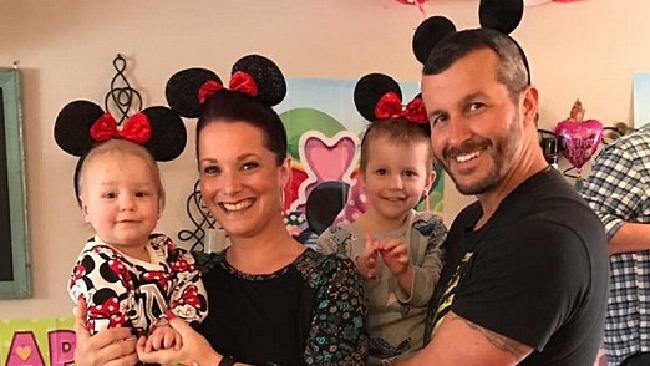 Despite Watts claiming he did not murder his two children, a defence motion to have the DNA on his daughters' necks tested was denied over the weekend. The judge denied the motion and said he would not tell the medical examiner's office how to do its job, KMGH-TV reported. Watts faces nine felony charges including three counts of first degree murder and unlawful termination of a pregnancy. Outside the family's home in Frederick, north of Denver, a memorial of stuffed animals, balloons, flowers and messages grew and a candlelight vigil drew dozens of people. "This is to celebrate, mourn and get closure for a family that didn't deserve this," said vigil organiser Kelley Trippy. "This is a horrible, horrible, horrible story. It's affected us all whether you do know them or don't know them." Christine Gentert said a prayer, adding that she wanted Shanann to be remembered for her smile and her love for others. "I don't want the horror to replace how beautiful she was," Ms Gentert said. Ashley Bell, a friend of Shanann, said Shanann had planned a party Saturday to reveal the gender of her baby. Frankie Rzucek said his sister planned to name her baby boy Niko.